It’s true that if something is good its goodness will do the talking on its behalf. This scenario perfectly applies for the 427-SC Super Car that is supercharged. This one of a kind vehicle will be shown to the public at the International Race way Palm Beach on the 8th of April in Jupiter Florida. This fabulous vehicle comes complete with a front spoiler that is customized to meet your needs. The center caps for its wheel that are installed before its shipment. It also has its power badging and exhaust extensions fitted at the manufacturer’s factory. 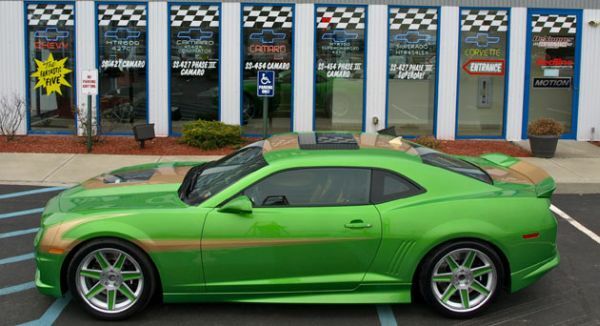 The 2011 Motion 427-SC Camaro also found in this collection will make you savor your moments. Other vehicles in this brand include the phase III 427, Phase 111 454 and SS 427.